When three of us friends met up to conceive LlanBikeFest, we decided to call it a festival rather than a show because festivals are celebrations – and LlanBikeFest is a celebration of everything we love about bikes, writes co-organiser John Hutchinson. 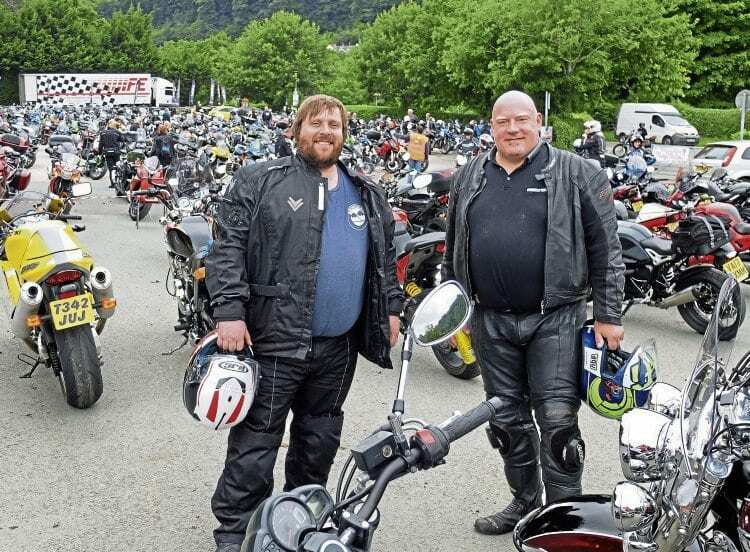 Now in its third year, it has no single theme, but has developed into a welcoming, relaxed and entertaining event that attracts all kinds of people who love bikes and riding and, above all, is fun. Bikes galore gleam in the background as two happy visitors give smiles of approval for this year’s LlanBikeFest. Over the weekend of August 5-6, despite a Saturday deluge of biblical proportions, nearly 7000 declared “Stuff the weather” and came anyway – brave souls! John McGuinness proved a true star and gentleman, and despite being in obvious (but uncomplaining) discomfort from his injuries, tirelessly gave interviews on stage, chatted and signed anything that moved for hundreds of fans who queued patiently to meet him on both days. Like Giacomo Agostini before him last year, he really joined in with the festival spirit and had a great time. 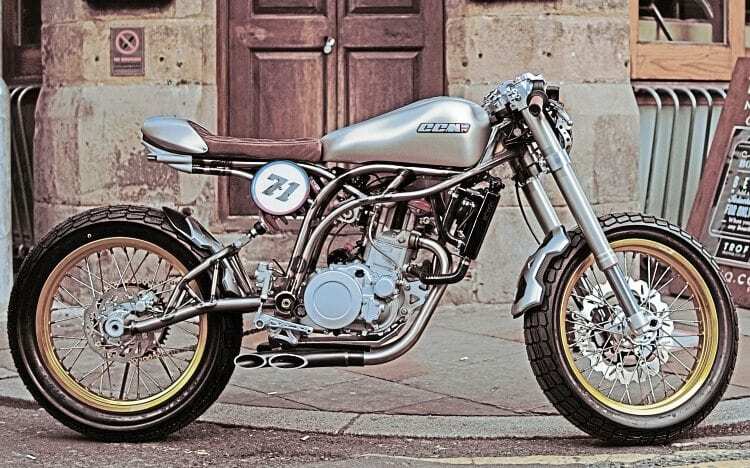 CCM’s new mouth-watering Cafe Racer was a big draw as it made its first public appearance since the Goodwood Festival of Speed. We’re not sure whether Allen Millyard qualified for ‘longest ridden’ to get to LlanBikeFest, but he surely deserves ‘most epic journey’ for the 380-mile return trip from his home in Berkshire aboard his mighty five-litre Flying Millyard. Mad, magnificent, part aircraft engine, part bike, the superbly engineered V-twin with pistons the size of saucepans was not just an exhibit, for to the delight of the crowds Allen thundered up the Horseshoe Pass to the Ponderosa Cafe. Previous Post:FROM OUR ARCHIVES: It’s a cover-up!